In this paper, we solve the Riemann problem with the initial data containing Dirac delta functions for the Chaplygin pressure Aw-Rascle traffic model. With the characteristic analysis, under the suitably generalized Rankine-Hugoniot relation and entropy condition, we constructively obtain the global generalized solutions that explicitly exhibit four kinds of different structures involving delta shock waves. M. Sun. Interactions of elementary waves for the Aw-Rascle model. SIAM Journal on Applied Mathematics, 2009, 69(6): 1542-1558. C. Shen, M. Sun. Formation of delta shocks and vacuum states in the vanishing pressure limit of Riemann solutions to the perturbed Aw-Rascle model. Journal of Differential Equations, 2010, 249(12): 3024-3051. L. Pan, X. Han. The Aw-Rascle traffic model with Chaply-gin pressure. 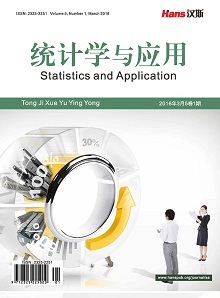 Journal of Mathematical Analysis and Applications, 2013, 401(1): 379- 387. Y. Brenier. Solutions with concentration to the Riemann problem for the one-dimensional Chaplygin gas equations. Journal of Mathematical Fluid Mechanics, 2005, 7(3): 326-331. Z. K. Guo, Y. Z. Zhang. Cosmology with a variable Chaplygin gas. Physics Letters B, 2007, 645(4): 326-329. D. Serre. Multidimensional shock interaction for a Chaplygin gas. Archive for Rational Mechanics and Analysis, 2009, 191(3): 539-577. G. Lai, W. C. Sheng and Y. X. Zheng. Simple waves and pressure delta waves for a Chaplygin gas in two-dimensions. Discrete and Continuous Dynamical Systems, 2011, 31(2): 489-523. S. Chen, A. Qu. Two-dimensional Riemann problems for Chaplygin gas. 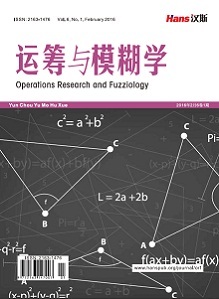 SIAM Journal on Mathematical Analysis, 2012, 44(3): 2146-2178. H. C. Yang, W. H. Sun. The Riemann problem with delta initial data for a class of coupled hyperbolic systems of conservation laws. Nonlinear Analysis, 2007, 67(11): 3041-3049. Z. Wang, Q. L. Zhang. The Riemann problem with delta initial data for the one-dimensional Chaplygin gas equations. Acta Mathematica Sci- entia, 2012, 32B(3): 825-841. H. Cheng, H. Yang. Riemann problem for the relativistic Chaplygin Euler equations. 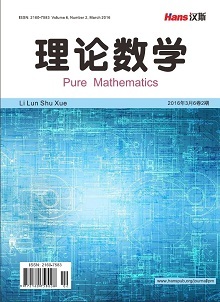 Journal of Mathematical Analysis and Applications, 2011, 381(1): 17-26.